Have you ever thought about how sexist the art world is? We have. Today we are launching a campaign, 'Stand up to #ArtWorldSexism', in association with International Women's Day 2017. We've published our own Gender Equality Report, based on four years of Artfinder sales and stock data and will also be writing to major global art institutions asking them to share theirs. And we'd love your help! We would also love you to go to your local art building (whatever that may be), pick an exhibition and count how many works are by women and men. Tag us in a social post with #ArtWorldSexism and we will publish your results and contact the institution for a comment. It's a well known fact that women get paid less than men for the same work, but in the art world the problem isn't to the tune of 10 or 20%. Only 1 out of 100 top lots sold at auction in 2015 was by a woman, and none of the top ten richest living artists in the world are women. We’ve known for a long time that Artfinder artists have pretty much a 50/50 gender balance, which is unusual in the art world. And, importantly, that's not something we did on purpose - it just so turns out that when you remove the gatekeepers, around 50% of artists represented are women. That shouldn't be a statistic worth shouting about, but it is. When we looked further into the data we found that women on Artfinder sell 40% more art than men, they sell their work 16% faster and for every £1m of art men sell, women sell £1.16m. Gender equality is something that every one of us can take action to change. Here are some things you can do to really make a difference. Have you experienced gender inequality in the art world? Tell us about it. Email us at equality@artfinder.com with your story. 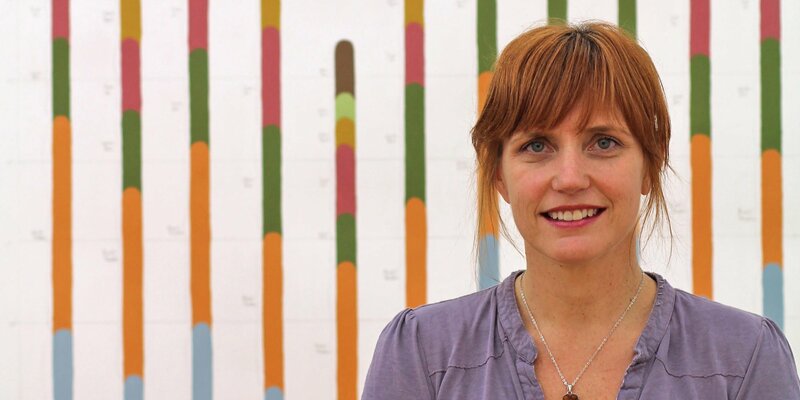 Hero image: New York artist and feminist, Jennifer Dalton, who is creating some work based on our data. Standing up to #ArtWorldSexism on International Women's Day - we did it! 100 artists. 100 balloons. We came, we saw, we counted. "Before Artfinder, my artworks remained within the borders of Serbia. Now, more than 200 of them are hung all over the world, and the feeling is fantastic!" Discover Ga Ga's beautiful nudes, infectious energy and 50% sale for a limited time only.